Venus setting over the pond at Letha House Park. Photo by Jay Reynolds. 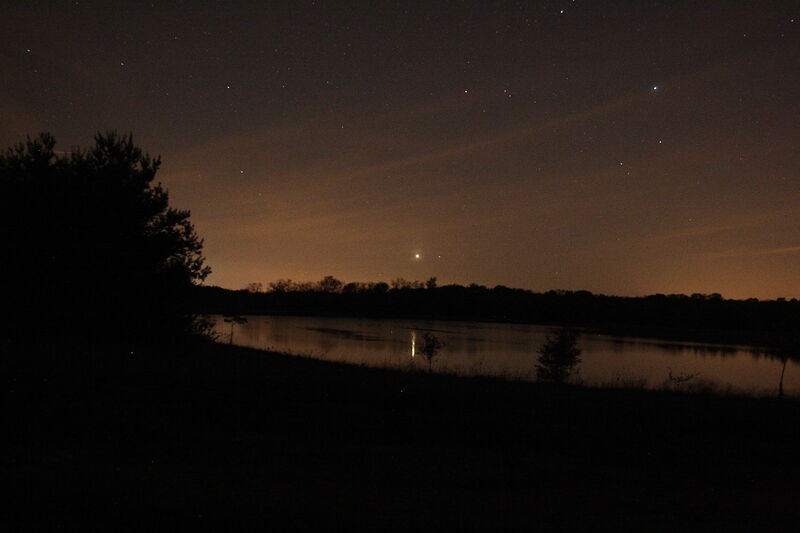 Jay Reynolds made this photo of Venus setting over the pond at Letha House Park. This week, Venus will be losing one degree of altitude per day as it heads towards its rendezvous with astronomical history — June’s transit of Venus! “So long Venus,” says Reynolds, “see you on the 5th!” Photo Notes: Canon 400D: ISO 1,600, f/2.8, 8 seconds, 24mm, May 11, 2011. This entry was posted in Uncategorized and tagged astrophoto, Letha House Park, photograph, pond, Reynolds, sun, transit, Venus. Bookmark the permalink.